More than its signature tires, the Italian company Pirelli has become synonymous with its annual calendars. First published in 1964, they gained fame and quickly became a sort of typical gallery of bare-skinned or scantily-clad female models, artistically shot by world-renowned "high-fashion" photographers. That all changed when Pirelli featured a line-up of makeup-free A-list celebrities for the 2017 calendar, from Nicole Kidman to Julianne Moore. And year's calendar seems to be a showcase of Pirelli's new-found proclivity toward diversity. 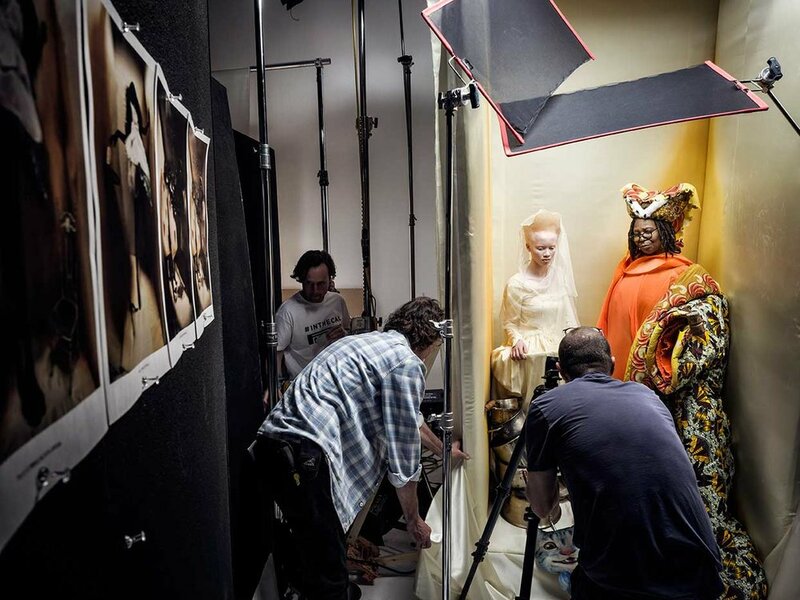 Pirelli tapped fashion photographer Tim Walker and stylist extraordinaire Edward Enninful - the new editor of British Vogue - to helm 2018's effort. The fruit of their collaboration was recently unveiled in a series of behind-the-scenes photos, showing an all-black cast. Black celebrities ranging from supermodels (Naomi Campbell, Adwoa Aboah) to actors (Djimon Honsou, Lupita Nyong’o), are all gussied up for a whimsical, Alice in Wonderland-themed shoot. Check out the photos of the cast below, including Australian and Sudanese model Duckie Thot playing Alice and RuPaul as the Queen of Hearts. These kinds of "inclusivity" pushes from big companies are so often all about public relations and keeping up with trends rather than any real desire for diversity. But sometimes, a little magic happens along the way.